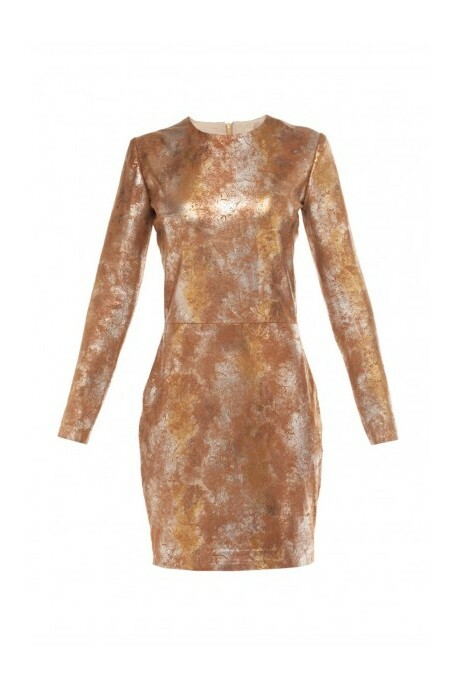 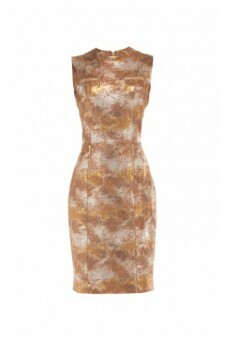 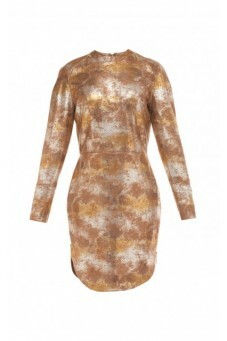 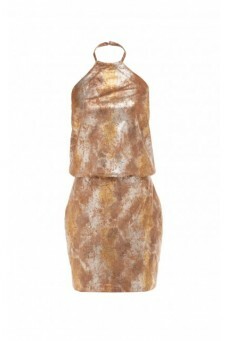 Midi leather dress in gold and brown color. 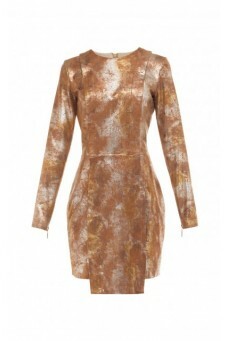 Genuine leather dress that sensually shows the back and shoulders. 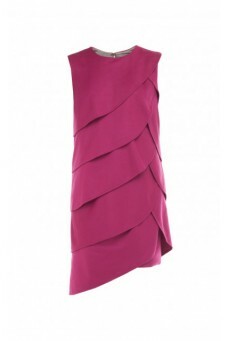 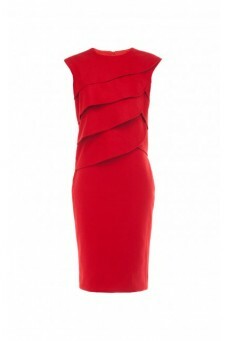 The design is a quintessence of style and femininity, which will never go out of fashion.